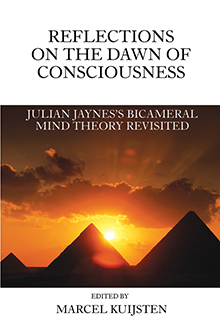 The first major new work on Julian Jaynes's bicameral mind theory since the publication of The Origin of Consciousness in the Breakdown of the Bicameral Mind. 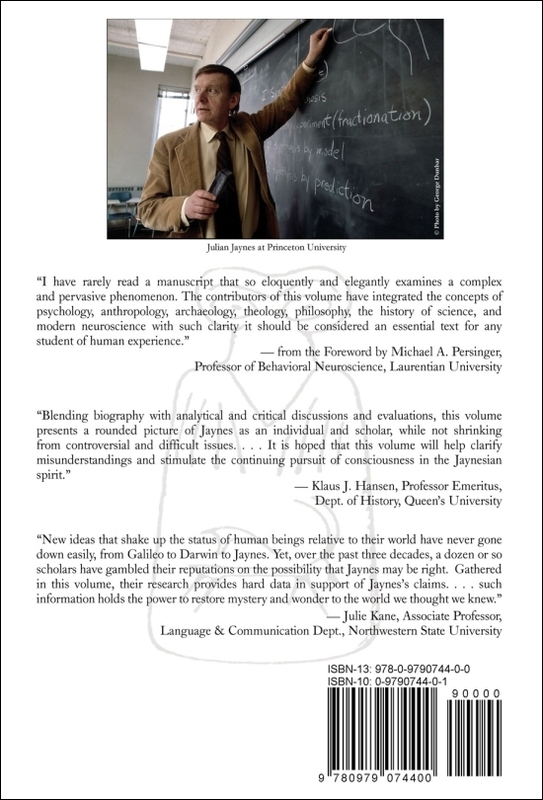 "In this book Marcel Kuijsten and his colleagues have integrated a quintessential collection of original thoughts concerning Jaynes’s concepts as well as some of Jaynes’s original essays. I have rarely read a manuscript that so eloquently and elegantly examines a complex and pervasive phenomenon. The contributors of this volume have integrated the concepts of psychology, anthropology, archaeology, theology, philosophy, the history of science, and modern neuroscience with such clarity it should be considered an essential text for any student of human experience." Why are gods and idols ubiquitous throughout the ancient world? What is the relationship of consciousness and language? How is it that oracles came to influence entire civilizations such as the ancient Greeks? If consciousness arose far back in human evolution, how can it so easily be altered in hypnosis and "possession"? Is modern schizophrenia a vestige of an earlier mentality? These are just some of the difficult questions addressed by Julian Jaynes's influential and controversial theory of the origin of subjective consciousness or the "modern mind." This book includes an in-depth biography of Julian Jaynes, essays by Jaynes, and the discussion and analysis of Jaynes's theory from a variety of perspectives such as clinical psychology, philosophy, neuroscience, anthropology, linguistics, and ancient history.